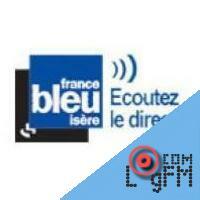 Description: France Bleu is a network of 43 local and regional radio stations in France. National programming from Paris is relayed by local and regional stations supplemented with local news and content. It is part of the public broadcaster Radio France. It is somewhat comparable to the BBC Local Radio network in the United Kingdom, in that it has a public service mission to serve local audiences. Les locales de Radio FranceIn 1980, Jacqueline Baudrier, Chief Director of Radio France created three new experimental local radio stations. Fréquence Nord, Radio Mayenne and Melun FM were created to cover a region, départment and a town respectively. These stations were in complement to those already existing under the management of FR3 since 1975, following the break-up of the state broadcaster ORTF. Radio France assumed control of all stations in 1982, with the amount of stations reaching 40 by by the 1990s.Its programming was essentially local except for music (which usually came from sister station FIP, or national programming by satellite, called Programme Modulation France), combined with news bulletins from France Inter. These stations were individually called Radio France_____ followed by its coverage area, but were grouped under the name Les locales de Radio France.Expansion and validation (2010 - present)The value of France Bleu was starting to be more widely recognised. In April 2000, the network achieved its record audience, achieving a 7.5% share and 330,000 new listeners, putting the national listenership at under 4 million. In 2010 at the request of French Prime Minister François Fillon, France Bleu Maine, covering Le Mans and La Sarthe was created on 1 June. Mr Fillon is a native of Le Mans. In 2011 it was confirmed that local public radio is to appear in Toulouse. France Bleu Toulouse launched on 23 February  and marks a return of local public radio to the city after a 14 year absence. Its previous outlet, Radio France Toulouse was closed in order to make way for national youth station Le Mouv'. Le Mouv' has since relocated to Paris. Advertising: . At LogFm.com you can listen to any of the 45,000 radio stations online. We have made it easy for you to find your favorite radio, listen to the music you like, find the best new songs, listen to the latest news, etc. Simply type the station name in the search box and enjoy your choice. Listen to the radio online at LogFm.com. Our E-mail: info@logfm.com. Live France Bleu Vaucluse. Rock and pop music, to listen to the latest news online.All rights reserved. 2009-2019 © LogFm.com.